Billionaire Warren Buffett-led multinational conglomerate Berkshire Hathaway has picked up a stake in One97 Communications Ltd, the parent company of digital payments firm Paytm. Paytm said in a statement on Tuesday that US-headquartered Berkshire Hathaway had invested an undisclosed amount in the company. As part of the deal, Berkshire investment manager Todd Combs has joined the board of directors at Paytm, which counts Japanese internet conglomerate SoftBank and Chinese e-commerce behemoth Alibaba among its other major investors. "I have been impressed by Paytm and am excited about being a part of its growth story, as it looks to transform payments and financial services in India.” said Combs, who is Buffett’s investment deputy and potential successor as chief investment officer. On Monday, Berkshire Hathaway had confirmed to multiple media outlets via email that "the investment was made" but added that Buffett was not personally involved in the deal. Earlier on Monday, The Economic Times reported that Berkshire Hathaway was in talks to invest Rs 2,000-2,500 crore (around $300-350 million) in Noida-based One97 Communications in a deal that could value Paytm's parent at over $10 billion. The report added that Berkshire was in discussions to pick up a 3-4% stake through a primary infusion. Separately, Mint had reported that the investment in Paytm was imminent and would mark Berkshire Hathaway’s first bet on an Indian startup as well as its first-ever investment in a privately-held technology firm anywhere. Buffett had told Berkshire shareholders at an annual meeting in May that the financial payments industry was gaining traction across the world. 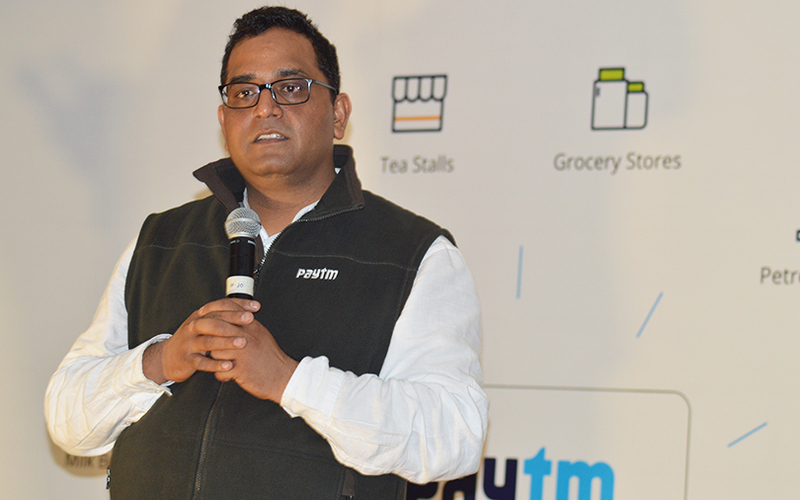 Paytm, founded and led by Vijay Shekhar Sharma, started off as a mobile recharge platform. It has since diversified to become a digital payments and e-commerce company. It also runs a payments bank (which recently ran into regulatory trouble and stopped adding new customers) and is set to formally launch its wealth management unit, Paytm Money. One97 operates the digital payments and e-commerce businesses through separate entities. It has previously raised funding from Softbank, Alibaba and multi-stage investment firm SAIF Partners. Last year, Alibaba and SAIF Partners invested about Rs 1,334 crore ($200 million) in Paytm Mall. In April this year, regulatory filings showed that SoftBank and Alibaba were investing a total of Rs 2,892 crore in Paytm E-commerce. Paytm has been snapping up companies across different verticals to diversify its offerings, which include movie and travel ticketing. Earlier this month, it acquired Bengaluru-based fintech application Balance amid efforts to grow its financial services business. In June, One97 Communications Ltd acquired Delhi-based mobile technology startup Cube26 Software Pvt. Ltd.
A month before that, Paytm bought Chennai-based Orbgen Technologies Pvt. Ltd, which runs online ticketing platform TicketNew. It also plans to acquire NightStay Travels Pvt. Ltd, a Delhi company that operates a mobile-based marketplace for last-minute hotel bookings, a person familiar with the development told TechCircle. Berkshire Hathaway is a roughly $500 billion conglomerate and has more than 90 operating units including the BNSF railroad, Geico auto insurance, Dairy Queen ice cream, Fruit of the Loom underwear, See’s Candies and a variety of industrial and chemical operations. Buffett, who will turn 88 later this week, is the chairman and chief executive officer of the conglomerate he has run since 1965. The firm had been reluctant to invest in technology companies in the past but has since changed its stance. Its 5% stake in tech giant Apple is now said to be worth $50 billion. Buffett confirmed earlier this year that he had also explored investing in ride-sharing giant Uber, but the deal eventually fell through. Berkshire said earlier this month that it was sitting on a cash pile of $111 billion.